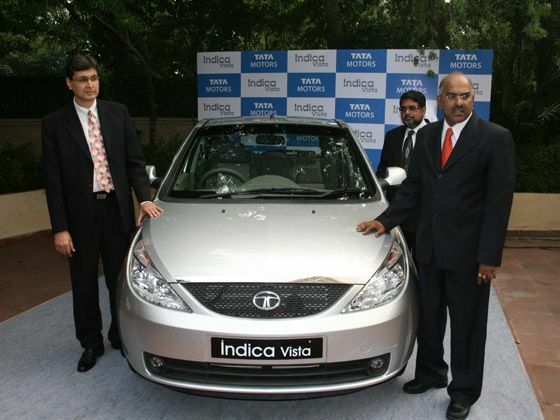 After unveiled the an all-new version of the venerable Indica back in August of 2008, the Indica Vista, Tata Motors launched an upgraded version of the car called the Indica Vista Drivetech4 today. Stagnation is always a bad thing, especially in the automotive industry, and the brass at Tata Motors understand this well. The Pune-based auto giant just launched an upgraded version of the Indica Vista, which has been wooing car buyers in India for a bit over one and a half years now. Called the Indica Vista Drivetech4, this new version of the car features a plethora of new features to improve the driving experience, which the company feels should keep buyers interested for some quite some time more. The Indica Vista Drivetech4 comes with a specially designed Eurotech gearbox mated to an option between either the brilliant Safire petrol engine or the even better Quadrajet diesel mill. The Eurotech gearbox has been designed to deliver higher torque at lower RPM, while at the same time, reducing vibration and improving the gear shifting experience. Tata says that this should also help increase engine life while the cooled exhaust gas recirculation system should also go a long way in reducing emission. But the best part is that all these refinements are not just being offered on the BS IV compliant engines, but the BS-III engines as well. Apart from the improvements to the mechanicals, the Indica Vista Drivetech4 also features a 4-spoke tilt adjustable steering wheel as well as a high-adjustable dirver’s seat. In the back, a 60:40-split rear bench which flips and folds opens up additional storage space for carrying more cargo. On the toys front, this upgrade finally gets the integrated 2-DIN stereo system with the Blue 5 mobile phone integration over Bluetooth and a USB port which we had first seen on the new Indigo Manza. The Drivetech4 also offers driver and passenger airbags and an Anti-lock braking system (ABS) for enhanced safety. Pricing is of course one of Tata's strongest suites and it’s the same story with the Indica Vista Drivetech4. The Safire petrol range starts from Rs. 3.57-lakh while the brilliant Quadrajet diesel range starts at Rs. 4.4-lakh (both prices ex-showroom Delhi). Keep checking the website regularly for a full road test of the Indica Vista Drivetech4.